All rules listed below are now in effect as of March 9th, 2016 and apply to all ranks of the server. These rules are in compiance with every Velocity managed platform such as the forums, the Plug.dj and the Minecraft server. The Velocity Administration reserves the rights to make admendments to the rules at any time. By joining our Minecraft server, you are accepting our terms and conditions. You agree that you have read our rules, and risk the punishment if one is broken. Mods that provide an unfair advantage are not permitted. All decisions made about staff are considered final. If you have a problem with a staff member, please contact an admin, or report them on the forums. Hate threads about staff will be removed. Velocity staff are dedicated to the same goal; to create an enjoyable and safe environment for Velocity. All staff are protected by the rules. Staff disrespect is defined as any deliberate comment of gesture towards a currect staff member that is intended to cause malice. Using 6 or more capital letters in a row is not permitted on our network. Doing so creates spam and clutters the chats. Spamming is defined as sending three or more identical messages in a row. Spamming also includes garbage messages (mashing the keyboard), posting an excessive amount of punctuation marks in a single message or sending messages too fast. Spamming private messages is not allowed. Profanity or using derogatory remarks on the network is not permitted. Treat others like how you want to be treated. 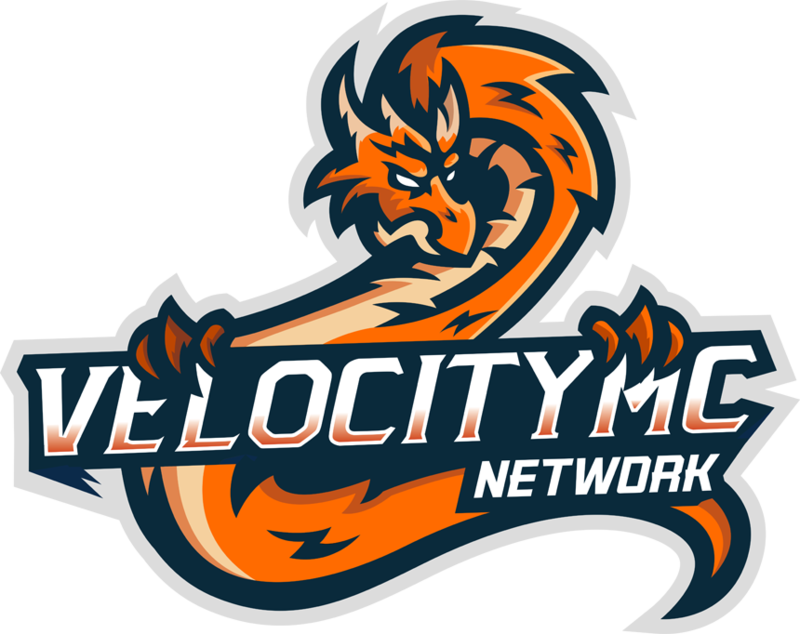 Velocity-MC hosts players from across the globe, from many different countries, religions and races. Discrimination in any form will not be tolerated. We will not allow racism, remarks about disabilities or religion etc. VelocityMC has a zero tolerance policy on bullying. Any players that have been deemed malicious will be immediatly removed from the server. Abusing certain commands is not permitted on Velocity. Abusing is defined as using an ability with the intent of cheating. Some examples of abusing a command would be fly abuse and /F Tag abuse. Fly abuse is defined as flying to get to/away from another player while in battle. With this, there is a one strike rule before the fly command will be removed from the abuser. /F Tag abuse is defined as using /F Tag to communicate while muted. Do not advertise other Minecraft servers. This can be done by hinting to another player to join a server, posting an IP, posting a TS IP to another server, or sharing a web address or domain of another server. Advertising another Minecraft server will result in a global ban from the network. Please do not encourage suicide in any way on VelocityMC. This falls into the category of bullying which VelocityMC has a zero tolerance for. Please do not make your nickname offensive in anyway. Inappropriate nicknames include: impersonating a staff, player, VIP/VIP+, or using derogetory/offensive in your nickname. At all times, please keep nicknames tabbable. This means making your first three letters of your real username your nickname. Faliure to comply with this policy will result in the removal of that permission. Please do not make faction names offensive or profane. Refusal to comply with this policy will result in the disbantion of your faction. Please do not make item names offensive or profane. Refusal to comply with this policy will result in theelimination of your item. Use of a hacked client or cheating client will result in a global ban from our network. There are no exceptions to this policy. If you have suspicion of a hacker, notify a staff member in game, on the forums, or on Teamspeak. Another option is reporting them on the forums. The only acceptable proof is a video of that player hacking, or picture file of that players screen. Intentionally exploiting any server glitches are not allowed. If you find a glitch, you can report it on the forums. The punishment for this offence is a permanent ban from our servers. KitPvP: You are not allowed to leave the map. If caught doing so, you will be permanently banned from our server. NOTE: This includes glitches with our plugins or default minecraft. Spawn-shooting is defined as standing in the no-pvp zone and shooting at players in the pvp zone. Please do not spawnshoot, or you will be kicked or temp banned globally. Boosting is defined as killing an alt account to boost money, stats etc. Also, alting is not permitted on faction servers. Doing so will result in a tempban from the network. If you believe that a player is hacking, please use the /report command or /msg a staff member directly. Please do not spam the public chat with hackusations. This causes the hacker to toggle and/or log off which will prevent our staff from issuing the correct punishment. This is giving out Skype, phone numbers, addresses, email without the person’s consent. The punishment of this will be a global permanent blacklist. The safety of our players is our number one priority. At any point if you threaten to DDoS a player, staff member, VIP/VIP+, the server or Teamspeak of Velocity-MC, you will be permanently banned. DOX threats are dealt with the same way. If you threaten to DOX anyone on the server, the punishment will be a permanent ban from the network. The safety of our players is our number one priority. Please follow all of the rules listed on the subserver you are connect to. Failure to do so can result in a ban, permission removal or other concequence. The following rules are to protect the friendliness of the forums, and are strictly enforced. Please note that faliure to comply with these rules will most likely land a ban, IP Ban or a tempban from the forums due to the lack of any other punishments. The Velocity Administration holds the rights to change the rules at any time for any purpose. Advertising/hinting to join a server is not tolerated. Doing so will result in a permanent ban from the forums. Please no posting of other server websites or platforms. However, mentioning them is allowed for comparison or Velocity improvement related reasons. This will result in a ban from our forums, and the network. Starting flame wars, cussing at players, etc is not tolerated. This can be done by creating hate posts, hate threads, creating hate videos etc... This will result in a ban from the forums. Continuous arguing with a player or a staff member is prohibited. Toxicity of any kind will be immediatley dealt with by banning the sourse. Spamming is when you post the same thread more than 3 times within a few minutes. Spamming is also replying to the same thread with the same reply within a few minutes more than 3 times. Spamming is not tolerated, and will result in a warning/ban. Using bots and/or non-human things to generate likes, posts, replies etc are not tolerated. Doing so will probably result in a ban/IP ban. Using other people, other accounts and bots to boost your stats are not allowed. Making threads that generate likes for you/another user aren't allowed either (example, creating a giveaway thread saying you must like the post to go in the draw, making a thread telling someone to like another user's post, etc) and won't be tolerated. Likes are intended for rating a players judgements and compliance on the forums. Kick and kill is used by people to gain items. This is done by kicking someone out of their faction and killing them straight away.